Pasta, flour, and eggs are all you need to make a good savoury waffle for a nice change from regular pasta. For this Waffle Wednesday, I decided to make spelt pasta waffles with one of my favourite vegetables to use which is fennel. Just add Parmesan cheese and fresh parsley for a quick dinner, Happy Waffle Wednesday. Cook the pasta according to the description on the package. Mix the cooked pasta in a bowl with the low-fat quark, flour and eggs, and about a tablespoon of the finely chopped fennel. Add a little water to make the batter moist until it’s a nice and firm dough. Heat up your waffle iron and divide the dough in 4. Bake 4 waffles using this. While baking I soften the fennel in a cooking pan with a little olive oil. Just add a pinch of salt and pepper for taste. 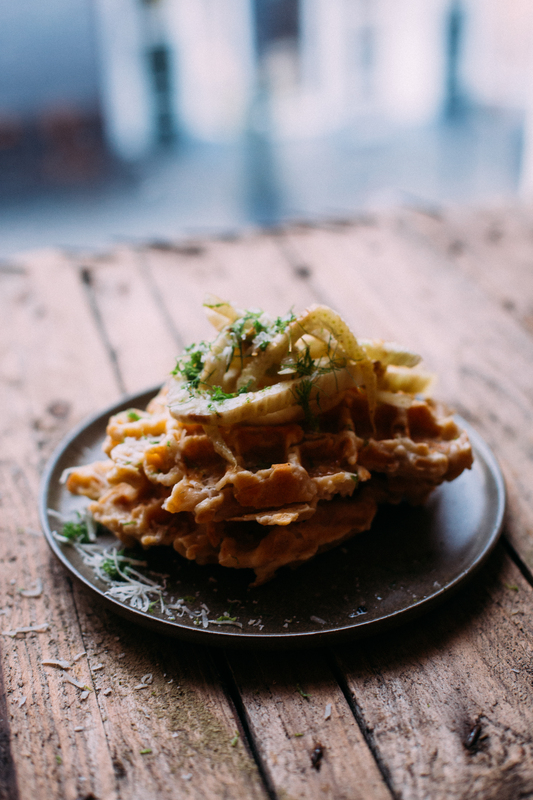 Serve the waffles with the fennel on top and enjoy.